From the famous boulevards of Las Ramblas, to Gaudi’s masterpiece the Sagrada Familia, Barcelona is packed full of incredible things to do. The top attractions are deservedly popular and well worthy of an explore. Particularly if it’s your first visit or you’re short on time and simply want to hit up all the biggest crowd-pleasers. 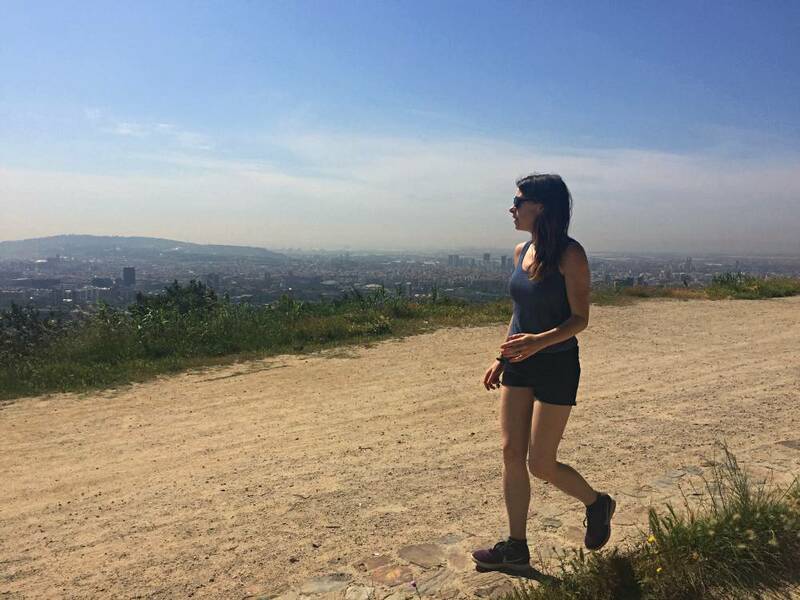 However, there are plenty of other awesome alternative things to do in Barcelona that don’t attract the hoards you’re likely to find elsewhere. Like any other big city, Barcelona has a regular tourist trail that’s well trodden and extremely popular. 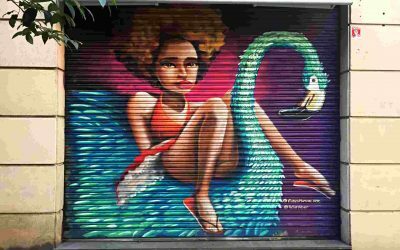 However, if you want to discover a different side to BCN, or are looking for some non touristy things to do in Barcelona, you should definitely check out these hidden gems. Whether you’re after the best views in town, a romantic spot to enjoy a night out, or a unique shopping experience, here are the best alternative things to do in Barcelona. The Bunkers Barcelona is a hilltop hideaway, home to what are simply the best views in the whole of the city. Positioned on top of a mount called El Turó de la Rovira in Parc del Guinardo, the Bunkers are 260 metres above ground. Though it’s definitely becoming more popular, it’s still one of the best hidden gems of Barcelona. They’ve been occupied in some way or another for almost two and half thousand years, being adapted for various uses. But during the Spanish Civil War, they proved to be the perfect location for anti aircraft munitions. These days the Bunkers is the top spot in Barcelona for kickass, panoramic, 360° views of the city and beyond. Barcelona feels different from here, somehow vast and tiny at the same time. 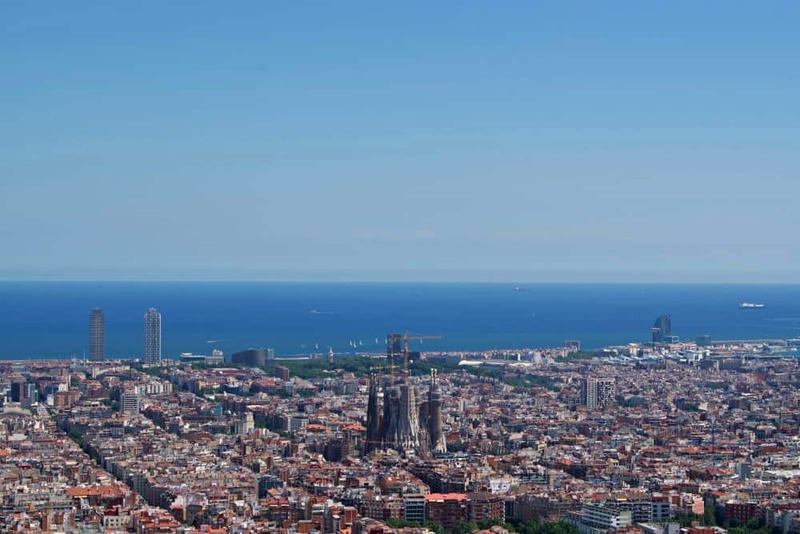 You can pick out many of the major attractions including the Sagrada Familia, Camp Nou, Tibidabo, and even the Magic Fountains of Montjuic if they’re on. It’s a great place to take a picnic and a few beers or a bottle of cava and just chill out for a few hours. The best time to go is probably at sunset, although it does sometimes get a little busy then. But the city looks even more marvellous bathed in the golden light of the dying sun, making it one of the most special alternative things to do Barcelona. The Parc del Laberint d’Horta is nowhere near any other attraction, meaning it simply doesn’t register on many people’s radars. It also only allows 750 people in at any one time, so even at its capacity will always feel like a non touristy thing to do in Barcelona. It’s a little tricky to get to, but once you find it you’ll surely agree it’s worth the effort. 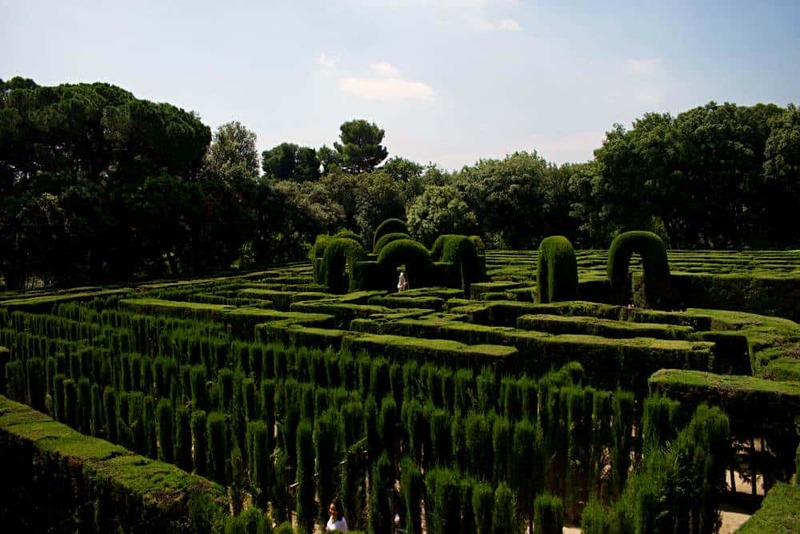 Parc del Laberint d’Horta is an enchanting and tranquil oasis and a great place to escape the hustle and bustle of the city. Formerly the estate of a prominent local family, it was gifted to the city of Barcelona in the 1960s. It was then opened to the public in 1971, and has since been carefully restored and protected. There are loads of different elements to the park including pavilions, statues, fountains, and even a canal. But surely the most magical feature is the marvelous maze where you can enjoy getting lost among the false turns and dead ends it provides. Parc del Laberint d’Horta is definitely one of the most romantic spots in the city and a relaxing place to while away a few hours. 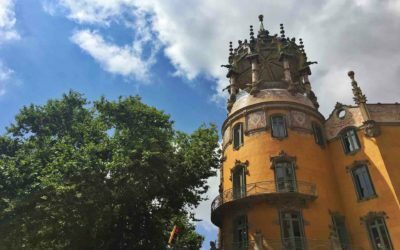 If you’re up for an adventure in a peaceful setting, this has to be on your list of alternative things to do in Barcelona. Tibidabo is probably the most recognisable of the mountains that surround Barcelona. Its idiosyncratic mountaintop church is one of the most distinctive features of the skyline and can be seen from virtually anywhere in the city. Surrounding the church is a cool theme park that makes a great day out for kids and thrill seekers alike. However, if you’re more into nature and superb views, there’s a brilliant 10k walk that runs to or from here. The Carretera de les Aigues is a route that snakes like a long, stone balcony about midway up the mountain. The entire length provides spectacular views that are constantly changing as you walk. Unlike many mountain walks, it’s also virtually completely flat from start to finish. And though this means it’s extremely popular among local hikers and cyclists, you won’t come across many out of towners. Because of this, it’s easily one of the best non touristy things to do in Barcelona. At one end you can actually see the pitch of the Camp Nou, at the other you’ll meet the Tibidabo funicular on its way up to the theme park. Take your pick which direction you walk in, but bear in mind that walking from the Avenida Tibidabo side means you’ll finish up away from the centre. It’s a full day trip but if you enjoy hiking, a visit to Montserrat may well be up your street too. Barcelona has lots of little squares and plazas, but none are as pretty or as well used as the charming Placa del Sol. It’s located in the area of Gracia, probably the coolest neighbourhood in the city, full of independent boutiques and bars. And this indie character extends to Gracia’s favourite hang out spot making it one of the best alternative things to do in Barcelona. Surrounded by bars and restaurants, you can take your pick if you want an al fresco sit down drink and dining experience. But all the cool kids simply buy a beer or bottle of wine from one of its bordering shops. Armed with your drink of choice, your next task is to find somewhere to sit. There’s a water feature on one side that makes for a decent chair, or a railing that runs along one side for some back support. But most local people just plonk themselves down on the warm paving slabs and make do. There are people playing guitar, a nightly kids clubs that takes place, and sometimes a street performer or two putting on a show. While it’s not everybody’s cup of tea, it’s like a free, open air bar and there’s a great atmosphere. 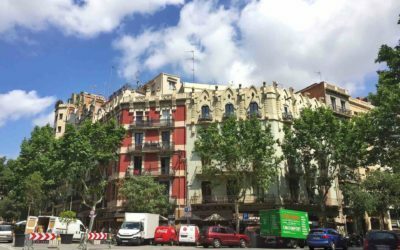 Though Placa del Sol won’t be news to Gracia neighbourhood residents, for visitors it’s definitely one of Barcelona’s hidden gems. A visit to Montjuic Mountain itself is definitely not on the list of non touristy things to do in Barcelona. At its foot are the ever popular Magic Fountains, on its peak is a well visited castle. Plus, there are not one, but two cable cars that ferry people up and down it all day. However, in the summer months on selected evenings, the grounds of the castle are transformed into a giant outdoor cinema. 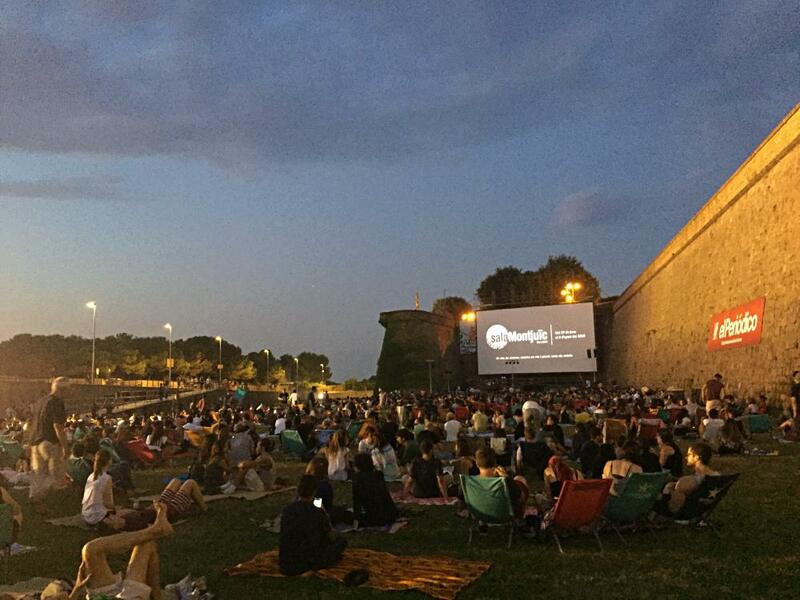 If you’re in town when there’s a film on, it’s one of the best alternative things to do in Barcelona. It shows both classic and modern movies, and they’re all in their original language, so don’t worry if you don’t speak Spanish. Before the film there’s also a live music concert, included in the price, with a different band playing every time. You can purchase food and drinks up there, but you can also take a picnic and bring your own booze. There’s even a free bus to shuttle you up and down the mountain from Placa Espanya, saving your weary legs. The tickets are unbelievably cheap, making it probably the best value night out you’ll find in Barcelona. Many people head to Barcelona for the shopping and the obvious place to start is on Passeig de Gracia. You’ll find outlets for most top designers here, with brands like Chanel, Gucci, Versace to name a few. It’s also got plenty of high street outlets if you prefer a slightly more accessible price range. 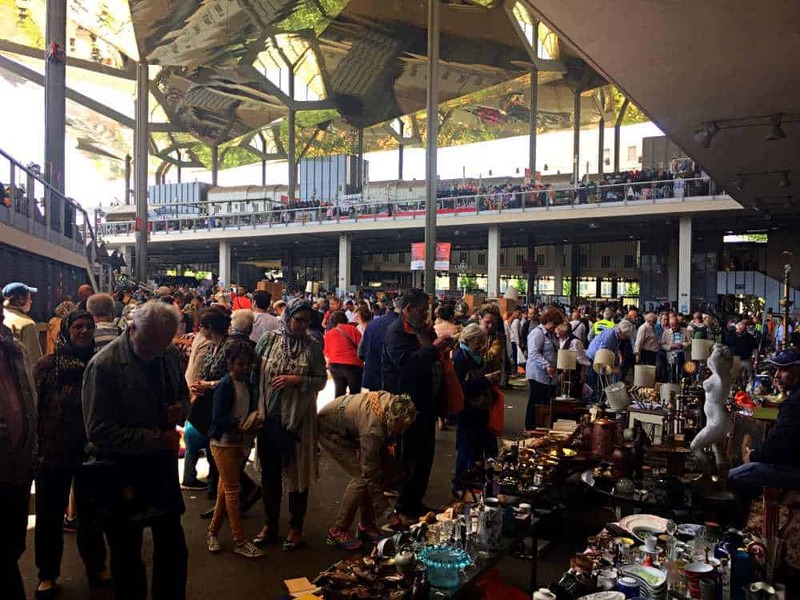 However, if you’re the kind of person that likes a Barcelona bargain, and you’re in the market for something vintage or one off, then get yourself down to Sant Antoni Flea Market. Set over three floors, it’s a cornucopia of antiques, vintage clothing, fake goods, and various other intriguing curiosities. From offcuts of fabric to musical instruments, brand new single gear bikes to full fitted kitchens, this place sells everything. Even if you’re not in the market to buy something, it’s worth a look around to soak up the vibrant atmosphere. If you get peckish while browsing then the top floor has a number of hole in the wall type food outlets serving tapas style bites. Alternatively there’s a slightly jaded but decent restaurant on the street level that does a top class menu del dia with a full bottle of wine per person. Barcelona is blessed with just under 5kms of beautiful, wide beaches, which are one of the main attractions of the city for many visitors. However, there are plenty of tourists who never make it beyond the most famous and central stretch of sand, Barceloneta. While it’s a nice beach on its own merit, over the summer months it’s so popular that it’s difficult to move. 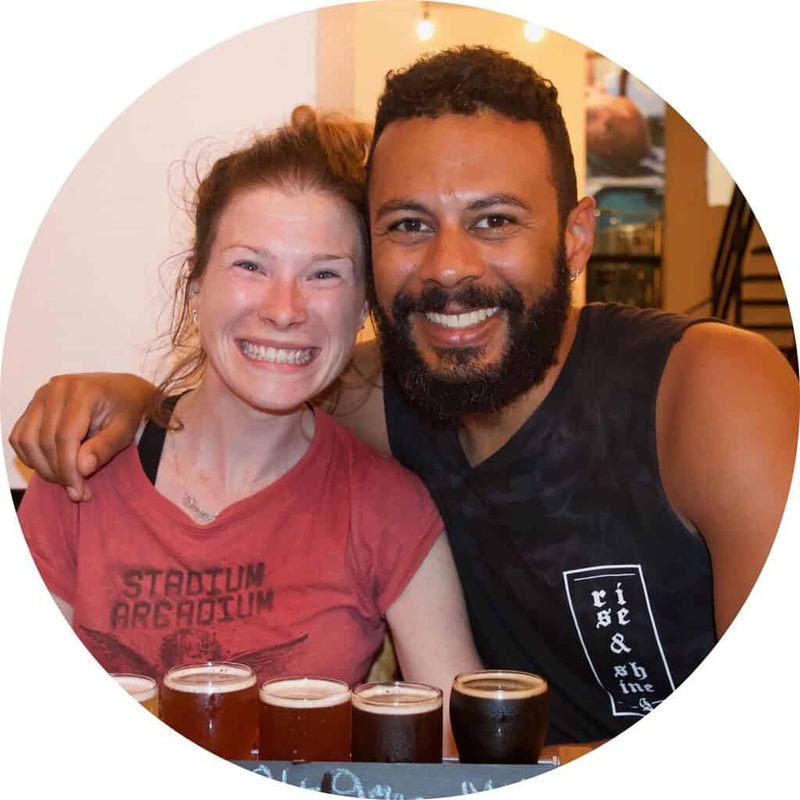 It also gets filled to the brim with stag and hen dos, which can sometimes get a little bit, shall we say, over exuberant in their merriment. Though none of the beaches during peak season are deserted, by heading a couple of kilometres along the coast it’s possible to find a quieter spot on a less busy stretch. 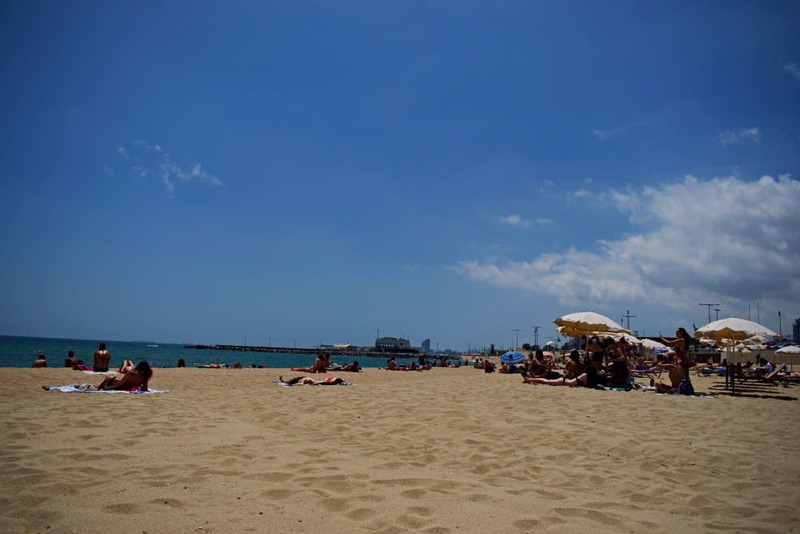 Platja Mar Bella is undoubtedly the pick of the bunch making it one of the best alternative things to do in Barcelona. 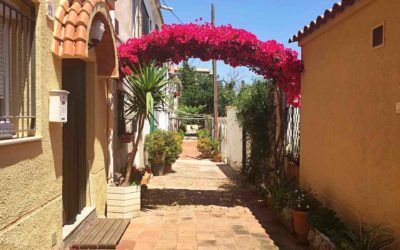 It’s about ten minutes walk away from both Poblenou and Llacuna metro stations, both of which are on the yellow line 4. Not far away is the Rambla del Poblenou which has an embarrassment of cool bars and good restaurants, as well as supermarkets and little shops. Best of all they’re all priced at a fraction of what you’ll find on the main drag near Barceloneta. Despite being a stone’s throw away from La Rambla, El Bosc de les Fades is undeniably one of the hidden gems of Barcelona. 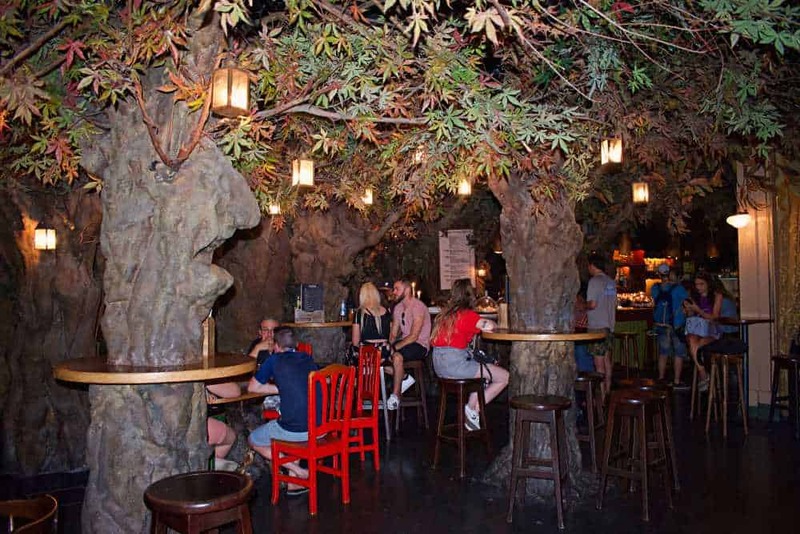 Concealed through an archway at the port end of La Rambla, opposite the slightly tired looking wax museum, this otherworldly bar is quite literally hidden. Directle translated as “The Fairy Forest”, El Bosc de les Fades is tucked away in a location that you’d never find if you didn’t know it was there. And once you enter it’s large wooden doors you’re instantly transported into a world of make believe. It alternates from the “on-theme” to the “plain odd”, but in some ways this adds to the charm. To the left of the bar you’ll find an almost pitch black hovel, built around a fake tree with ethereal fairy nymphs sat by a running water fountain. Adjacent to the bar there’s a slightly freaky ghost room which has a couple of surprises up its sleeve. But regardless of whether you’re baffled or bowled over, it’s certainly an experience. 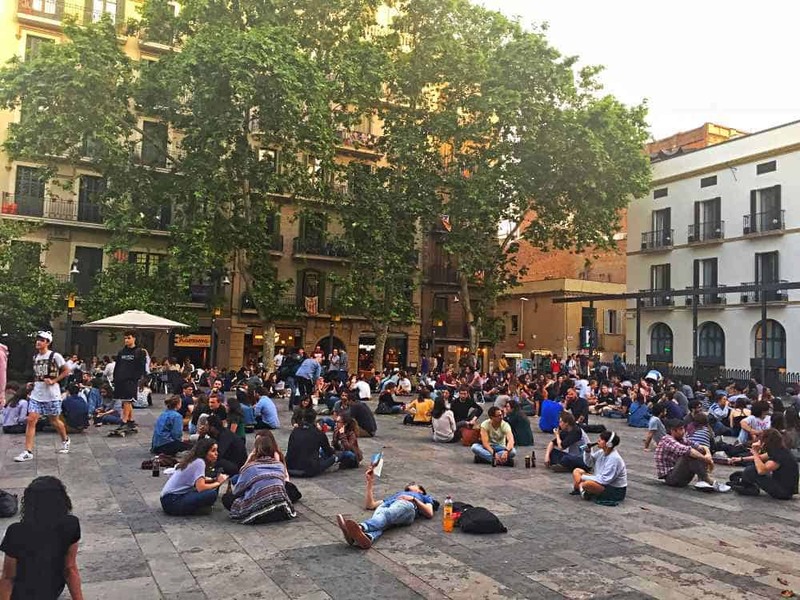 The drinks are reasonably priced, and for those looking for alternative things to do in Barcelona, it definitely hits the mark. One of Barcelona’s most trendy areas is the tiny enclave of El Borne. Though it’s located just a few strides out of the narrow, sun starved streets of the Gothic Quarter, the atmosphere and feel here is completely different. Wide, tree lined boulevards are filled with light and warmth, and lined with contemporary boutiques and chic drinking holes. 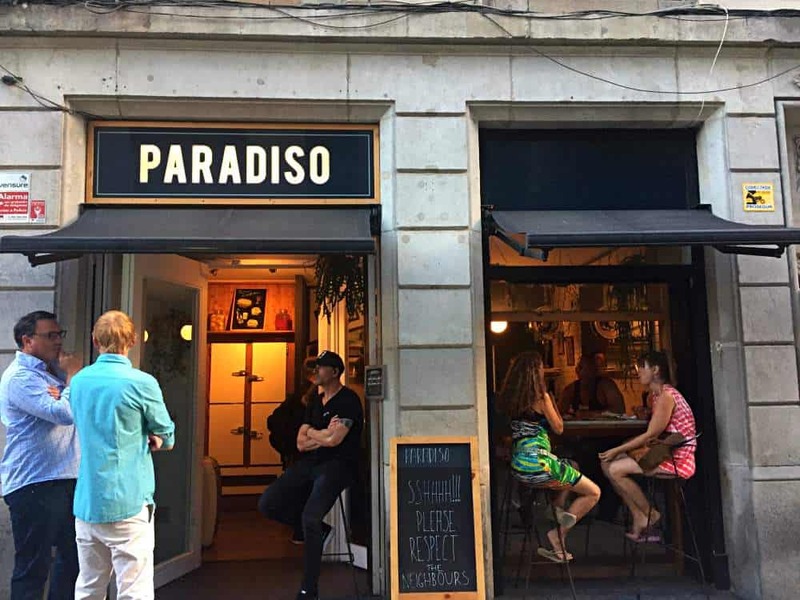 It’s here you’ll find Paradiso, consistently rated as one of the top cocktail bars in Barcelona. It’s an elegant and stylish space with a beautifully designed wooden interior, but you have to know where it is to gain entry. This is because even though the name is on the outside, there’s no bar front. Instead, it’s located behind a café-bar that specialises in pastrami. What looks like a large refrigerator door in the pastrami bar leads you into Paradiso, one of the most unique bars in the city. 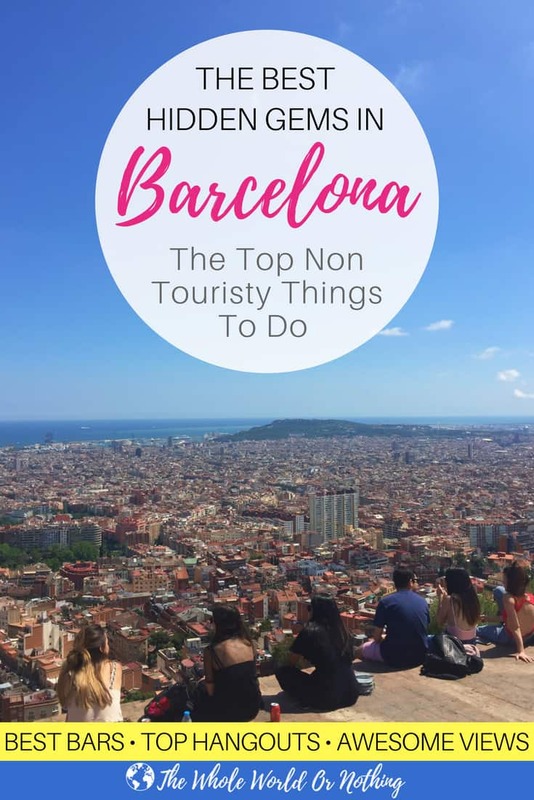 But it’s not just the secret location that makes it one of the top alternative things to do in Barcelona. Their mission statement is to provide world class cocktails at a reasonable price point, and while it may still be a bit steep for some budgets, they are worth the dollar. The well crafted cocktails are served with a heavy dose of theatre, with smokes and garnishes used to breathtaking effect. You can also order what might be some of the best pastrami ever to pass your lips from the cafe outside to accompany your drinks. You can’t fail to be wowed. Which of these alternative things to do in Barcelona will you be checking out on your visit? Let us know in a comment below, and tell us if you’ve got any more questions you want answered about them. 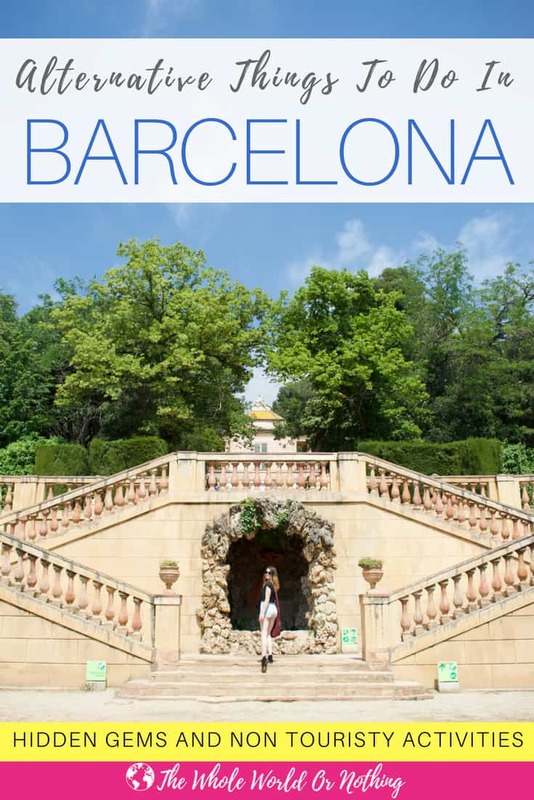 You may also find our Barcelona itinerary guides and list of Barcelona travel hacks useful in planning your trip. How Many Days In Barcelona? Wondering how many days in Barcelona is right for you? Allow us to help you decide with these awesome 3, 4 and 5 day Barcelona itineraries. A nice amount of time to see the main sights and relax a little, here’s lots of useful information for planning your 4 days in Barcelona itinerary. Planning a trip to beautiful Barça? Experience the best of the city with this comprehensive travel itinerary of what to do in Barcelona for 3 days. Gracia Barcelona is bohemian, artsy, and has a unique charm. You’ll love its leafy streets, independent bars and restaurants and trendy fashion boutiques.